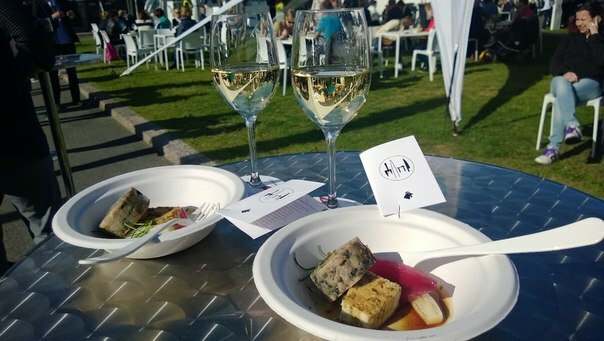 Taste of Helsinki: a boutique picnic with a lot of attitude. 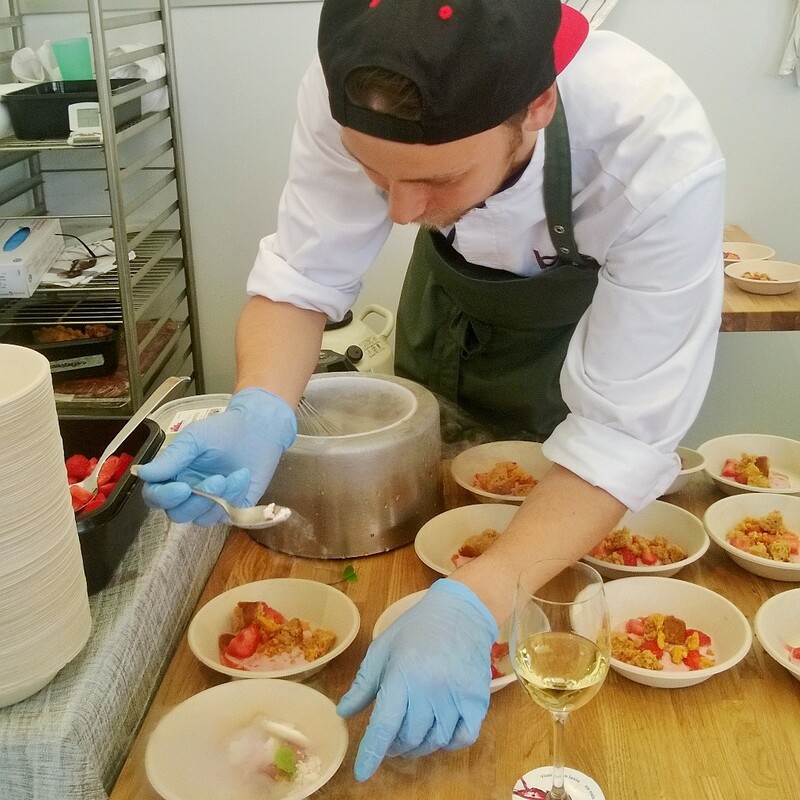 Taste of Helsinki-2015 was a success. Absolute success. Are we surprised? Not a bit. 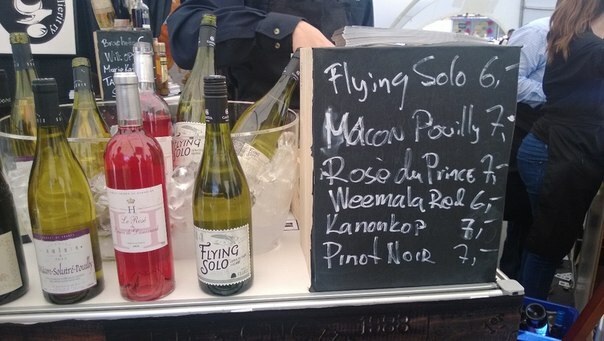 The event that includes words “gourmet” and “picnic” cannot go wrong in Finland. Finns love to picnic, they have a professional approach and somehow combat readiness to draw out a basket, blanket and cutlery in no time and at any given opportunity. 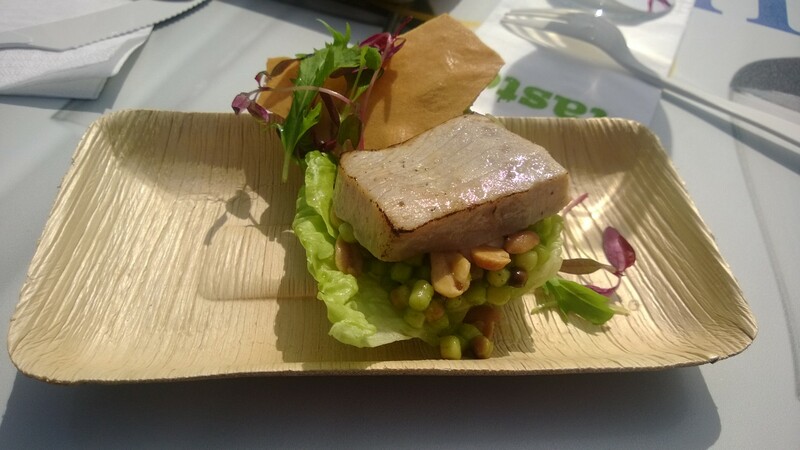 Now imagine that instead of traditional rye-bread sandwiches with Valio emmental cheese, you get the top Finnish chefs serving you their variations on a theme of the New Nordic cuisine topped with the luxury of the sunshine for three consecutive days. The fourth one was a bit rainy but let’s say it was just to chill the steam from the frying pans. I have to confess that I went there twice, Friday night and Saturday morning. And both times were utterly enjoyable: happy summer crowd, kids playing on the green lawn, Madonna and Bruno Mars from the speakers, and taste buds in a state of bliss. The list of the restaurants included: Bertha, Brōd, Kaskis, Matti Jämsen, Ragu, Sinne, Emo, Hoshito, Pastor and Patrona. To my great embarrassment and equally great gastronomic excitement all the names sounded new, apart from the last two that are my longtime favorite places to “go Mexican” in Helsinki (here is the review in Russian). 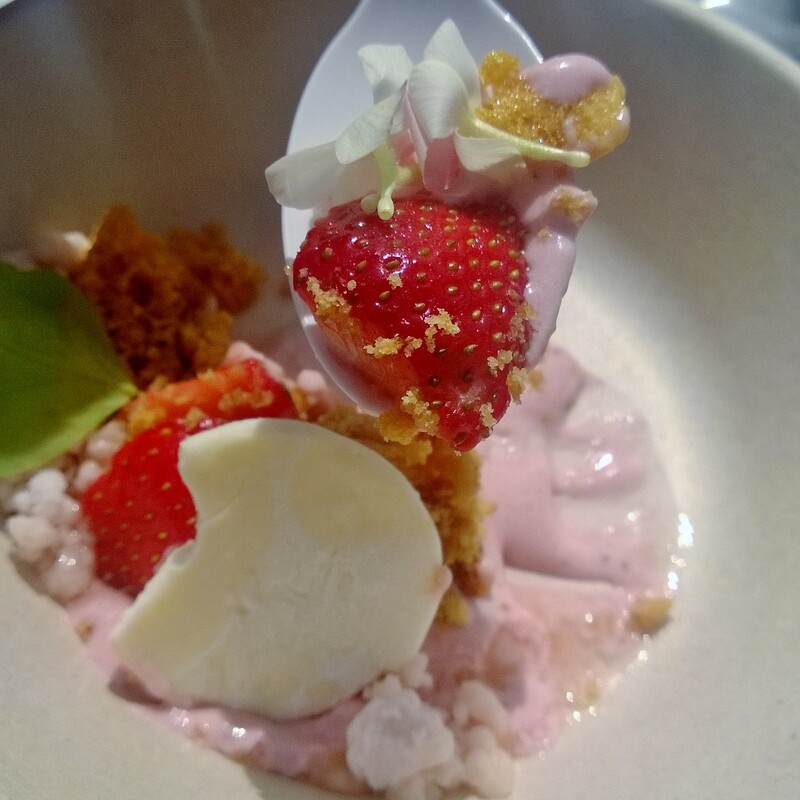 Another “taste epiphany” came from the part of the desserts, particularly from iced kefir, strawberries and honey bread masterpiece by Bröd. And I always thought that I am not a candy girl! 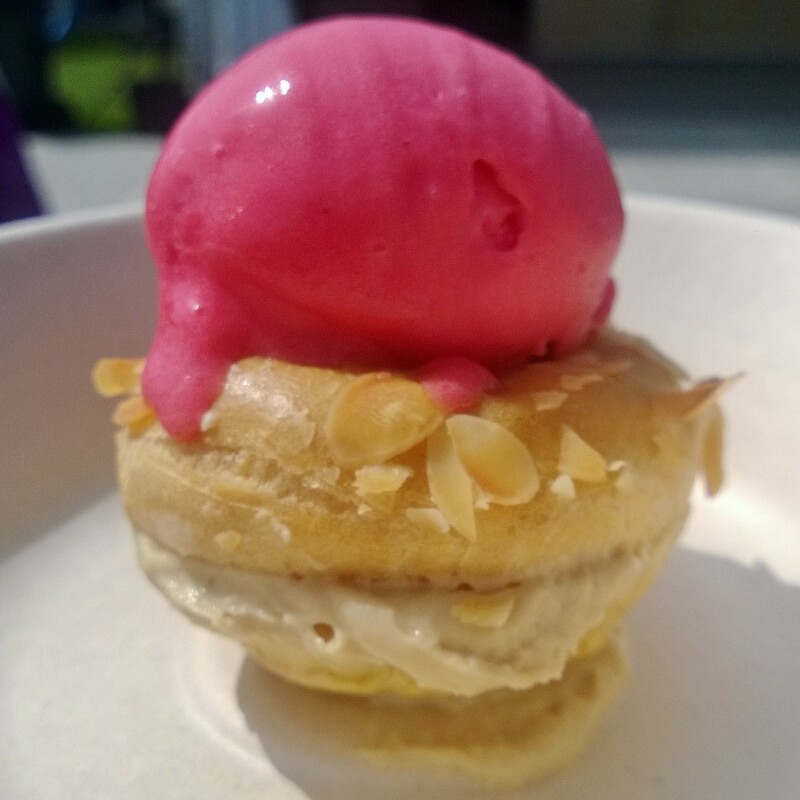 And now, as a fat-free dessert, comes an exclusive interview with Barry MacNamara, the Irish man behind this great Finnish event. 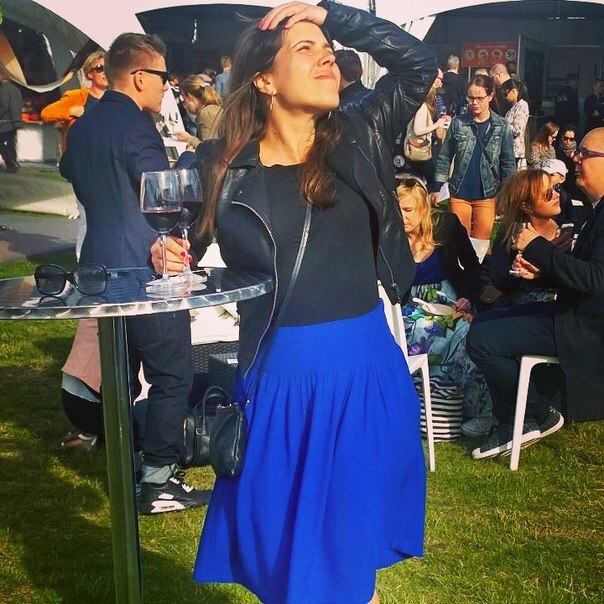 Together with his wife, Mira, they launched Taste of Helsinki in 2012 and this way Finland became a pioneer of Taste festivals in the Northern Europe. 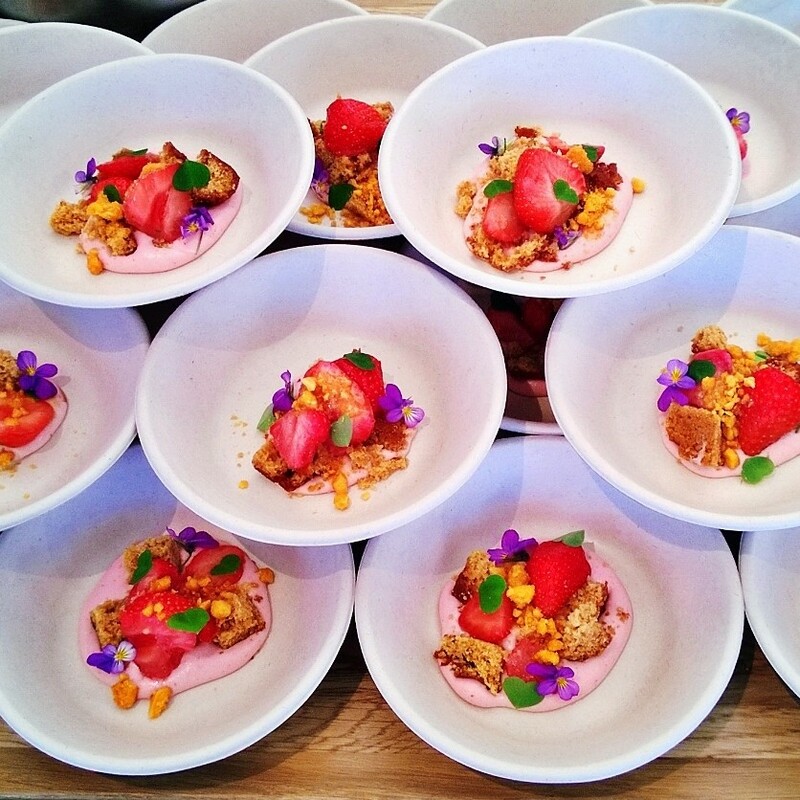 In its first 3 years, the picnic has served 26,500 people over 140,000 plates of food from a selection of the best restaurants in Helsinki and Finland, and over 100,000 glasses of wine, Champagne and beer. Predictably, it was pretty impossible to spot Mr. MacNamara during the event; one must have been very busy when inviting the whole city to grab a bite on a warm summer day:)Yet, I got Barry’s answers! How would you describe Helsinki-2015 culinary scene, let’s say compared to 2012 when you first tried to organize the event? I guess that things have changed a lot? Barry ManNamara: Helsinki has started to gain a little self-belief in its culinary standing; the city has a vibrant restaurant and food scene with something for every taste. Brilliant fine-dining restaurants that epitomize the purity of the New Nordic movement to a thriving street food culture. One of the most pronounced changes over the last 5-years has been the appearance of a thriving bistro scene, which has brought new life into a sector, which faces challenges due to the current economic climate. Yoru definition of the Taste of Helsinki role? What were the main challenges when organizing it for the first time, if any? B: We see ToH as fulfilling two roles, firstly it enriches the city event landscape, providing 10,000 visitors with a unique culinary experience; however, the event also plays an important role in showcasing the city gastronomic culture and branding the city as a culinary destination. The main challenge that we faced was to convince the restaurant community that this was a viable project and to secure the necessary commitment from both commercial and media partners. We succeeded in getting the support of the right chefs, early in in the project, which made our conversations with potential partners more productive. Is there the selection criteria for choosing the participating restaurants? B: The restaurant selection is the most important part of our planning. We do not just fill 10-spaces, we look at the restaurant list as a whole, choosing 10 restaurants that complement each other and present the best snapshot of the city gourmet restaurant scene. This is Helsinki on a fork! 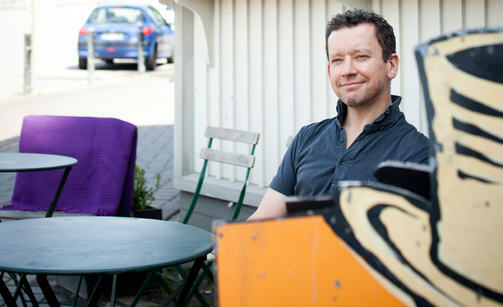 Claus Meyer, co-owner of the world’s famous Noma, described Nordic cuisine as “light, crisp and fresh combination of healthiness and deliciousness”. What will be your definition? 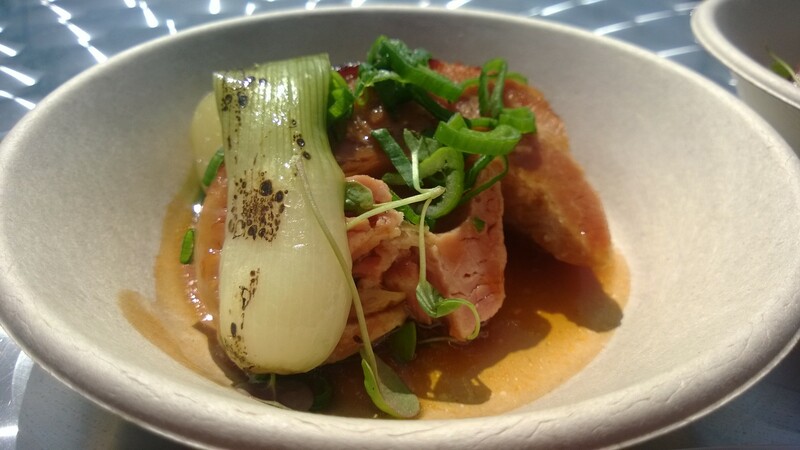 B: Tough to follow Mr. Meyer… I see Nordic cuisine as being respectful of both ingredients and culinary traditions, allowing natural flavours to shine. And last but not least, your personal restaurant/cafe choices in Helsinki: for coffee? lunch/brunch? dinner? B: For a cup of coffee I would opt for La Torrefazione; brunch in SIS. Deli & Cafe on Kalevankatu and dinner in Kuurna. Thank you, Barry and see you all at Taste of Helsinki-2016! Weather permitting or not. Previous Post Правильные выходные в Хельсинки: новая нордическая кухня с Искусством на десерт. A great review! I particularly liked the yummy pics of delicious desserts.